Then you should definitely plan this. A different way of engaging kids and parents without making them feel bored. Let your kids have a blast at the party with this idea. You can plan this in a party hall having a pool or also you can celebrate at a beach. 1. 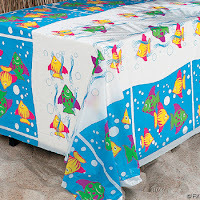 Arrange the center table with a blue and white beach pattern table cloth. Decorate it with some shells, starfish, rocks etc. 2. Add some Swim Fins to the pool. These are available in different designs and colors. 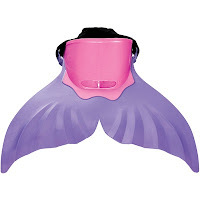 Buy them according to your kids taste and party theme. 3. Adding beach umbrellas, sand pails, shells and shovels etc bring more color to the party. 4. Plan some fun-filled water games with some giveaways. 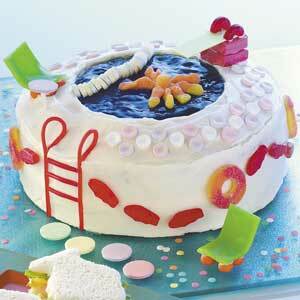 5.Order a pool party theme cake. 6.Decorate the pool side with blue and white Balloons(Click on the word for balloon decorating ideas). 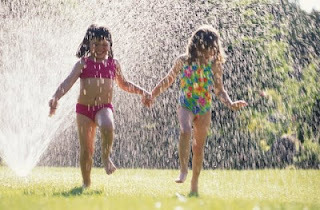 Just arrange a sprinkler or a quick set pool(available in low price) in your lawn.